Thermoplastic Elastomers, also known as TPEs are widely used soft plastic materials used in the market. Used in thousands upon thousands of products, manufacturers around the world have recognized this material for its use in consumer and industrial applications. In the kitchen, many kinds of food and drink containers use TPEs. For example, with its soft and grippy nature, it’s popularly used to make a variety of child drink bottles and sippy cups. In addition to drink containers, many food storage containers use TPE –that snappy, flexible type lid you find with plastic and glass food storage is often made using thermoplastic elastomers. Read how Star Thermoplastics worked with a multinational housewares company. One of the greatest innovations in food service and preparation was the use of polymers that allowed for better food storage and preservation. Thermoplastic elastomers are used in products that are sold as food storage containers, and in many of the industrial strength containers used in restaurants, cafeterias and other public food service settings. Thermoplastics have also been used to replace metal parts in some food service products including food processing equipment. By their nature, TPEs are non-corrosive, flexible and have the ability to withstand temperature extremes, making thermoplastics an excellent choice for use in these industries. Our thermoplastic elastomer have good adhesion to polypropylene and polar substrates, good ozone and UV resistance, and come in high flow grades for long, thin-wall parts. TPE plastics are very common when it comes to products used for the preparation, storage and dispensing of food and drinks. You’ll find thermoplastics everywhere from beverage bottles that use the tactile nature of thermoplastics to enhance feel and function to food containers that use the resilient nature of thermoplastics to keep food preserved and fresh as possible. 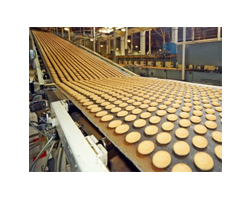 Thermoplastics are an excellent material for use in consumer and industrial food and beverage applications such as dairy and beverage tubing, caps and closures, cap liners, and container packaging. 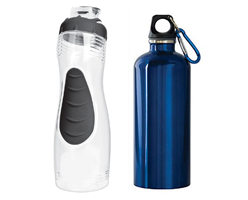 Many modern water bottles and travel mugs feature a rubbery screw top used to seal in the liquid. Given its waterproof and durable nature, thermoplastics are often used to make these lids. However, lids aren’t the only thing made out of thermoplastic. Some products use TPE plastic to make grippable fixtures on their bottles – such as the gripper boot on the bottom of a mug, the ergonomic handle or wrap sleeve. These enhancements allow people get a better hold of their bottle for drinking during activities like riding a bike, running, or even riding the subway. Just about everyone has seen one of these types of containers. Chances are you’ve probably used one yourself. These plastic food containers have been popular for many years and for good reason: they’re an affordable way to keep your food lasting longer. 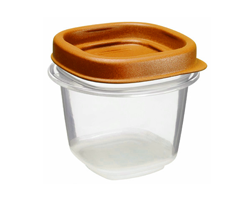 TPE plastic is often used to make the flexible lids for these containers due to the material’s ability to create a tight seal, continually keep air out. With industrial level application, many companies are making the switch from metal to thermoplastics. Stainless steel alloys, while featuring many attributes that make them work well for food processing, can be costly to maintain. The lubricants used to maintain stainless steel can pose contamination risks as well. Thermoplastics are also substantially lighter weight than steel, make them an appealing alternative to food manufacturers.